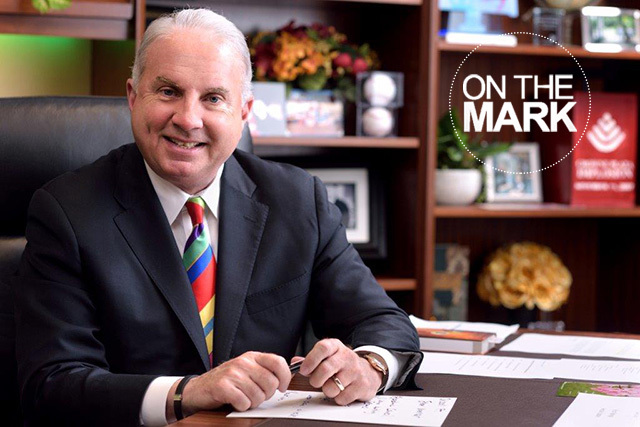 Of the 100 total cases, more than half were performed fetoscopically, an experimental, minimally-invasive surgical approach pioneered at Texas Children’s in 2014 by Obstetrician and Gynecologist-in-Chief Dr. Michael Belfort and Pediatric Neurosurgeon Dr. William Whitehead. 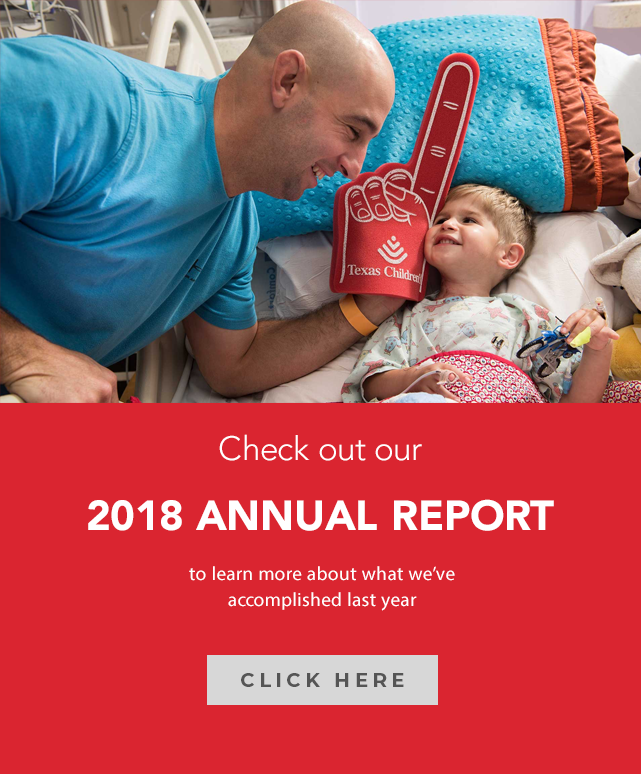 Texas Children’s was the first center in the U.S. to correct neural tube defects, also known as spina bifida defects, fetoscopically and is among just a few centers in the country that offers fetoscopic repair of spina bifida. 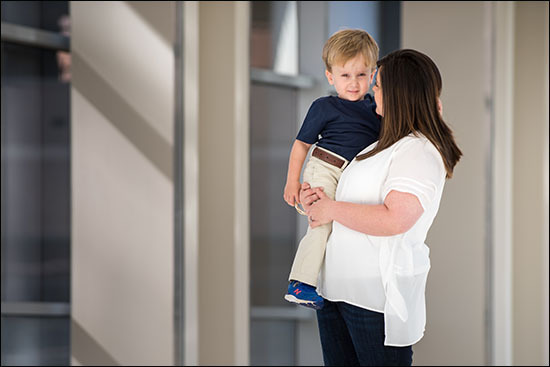 Texas Children’s continues to offer open fetal surgery for spina bifida, the standard of care since 2012, for patients who do not qualify for or opt not to undergo a fetoscopic repair. 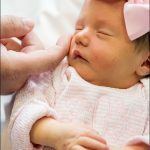 Neural tube defect repair surgeries are performed on babies with Myelomeningocele, a developmental defect in which the spine is improperly formed and the spinal cord is open to and fused with the skin. 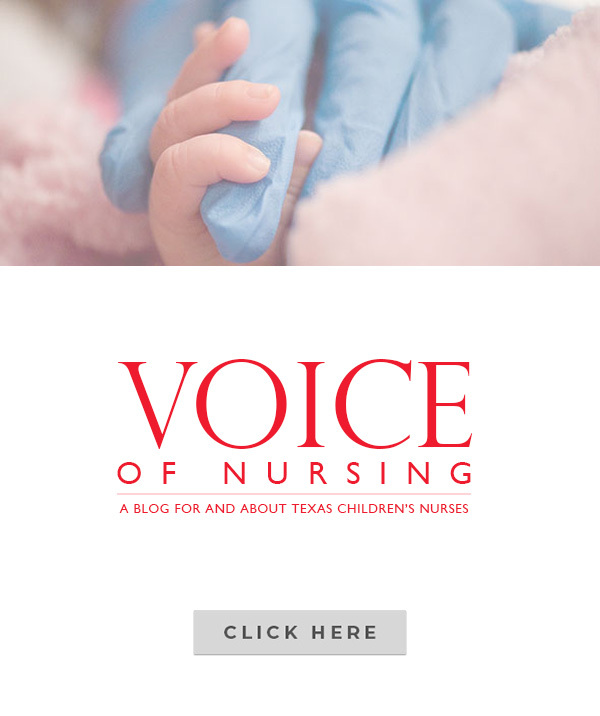 The condition, also known as spina bifida or an open neural tube defect (NTD), occurs in 3.4 out of every 10,000 live births in the U.S. and is the most common permanently disabling birth defect for which there is no known cure. NTDs are usually associated with motor impairment and hydrocephalus, or the buildup of cerebrospinal fluid in the brain, which requires surgical treatment to drain the fluid via an implanted device called a shunt. 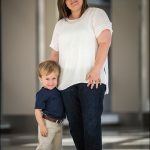 It’s common for children with spina bifida to have abnormal function of their bladder, bowels and legs. 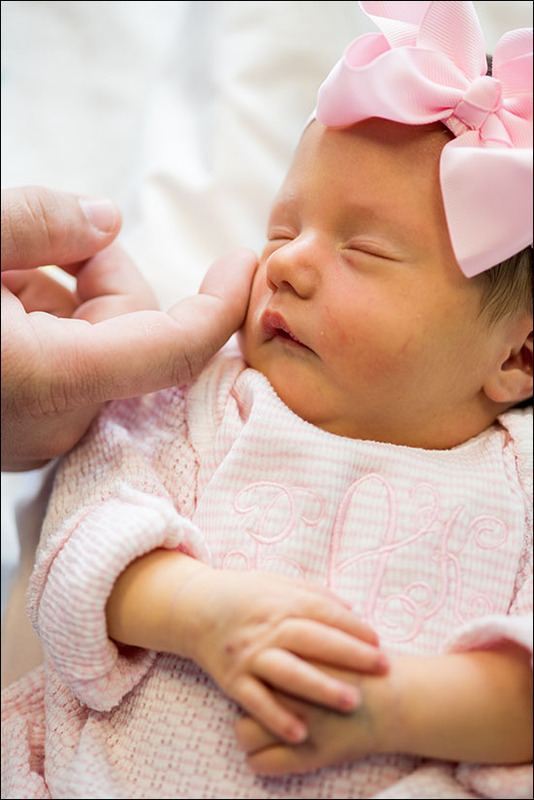 The goal of fetal surgical repair of spina bifida is to preserve leg function and reduce the need for a postnatal shunt. The standard of care for spina bifida is neurosurgical closure of the defect in the first days of life, however, advances in fetal surgery and the landmark clinical trial, known as the Management of Myelomeningocele Study (MOMS Trial), proved that a fetal surgical repair leads to decreased rates of hydrocephalus and improved leg function compared to a postnatal repair. 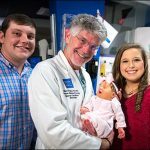 Through their research and outcomes data, Belfort and his team have shown that performing the surgery fetoscopically yields the same outcome for the baby as the open repair, while being significantly less invasive for the mother. 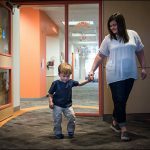 The first mother to undergo fetoscopic neural tube repair at Texas Children’s Fetal Center was Althea Canezaro. 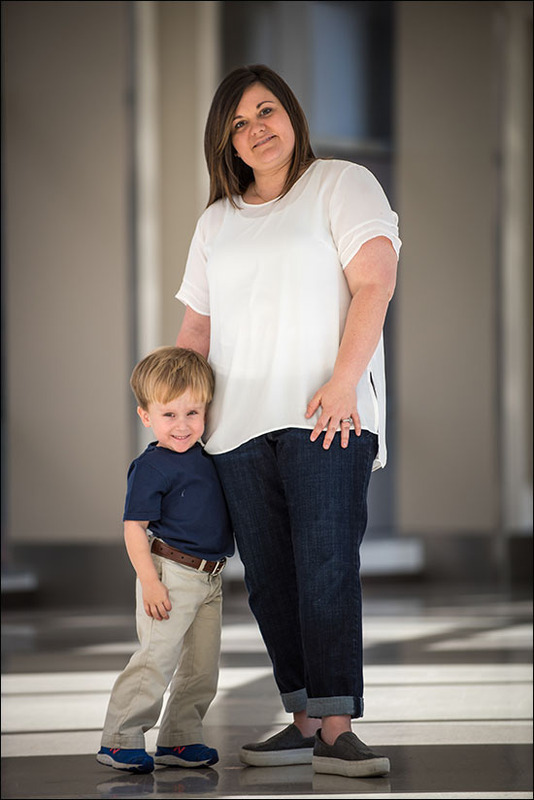 At 23 weeks pregnant, Althea learned during a routine ultrasound that her son, Grayson, had spina bifida. The Louisiana resident came to Texas Children’s shortly thereafter and met with Belfort and his team. A little more than four years later, Althea and Grayson are thriving. The blonde haired, blue-eyed boy never developed hydrocephalus and was born with full movement of his legs. 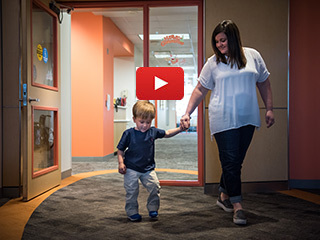 He is hitting all of his developmental milestones and walks with and without the assistance of crutches. 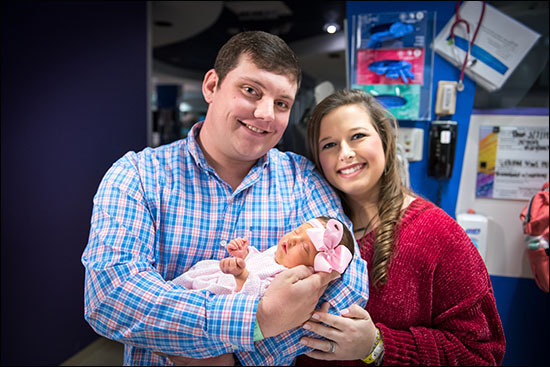 Belfort and his team performed the 100th neural tube defect repair late last year and delivered the healthy little girl, Parker Kate, on March 5. 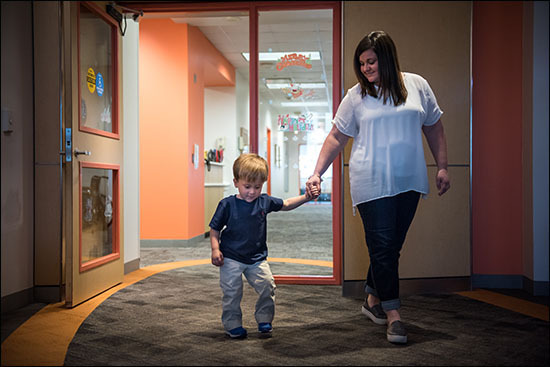 Taylor Avera, the newborn’s mother, said when she and her husband found out their child had spina bifida they were scared to death, but that what they learned at Texas Children’s put them at ease. 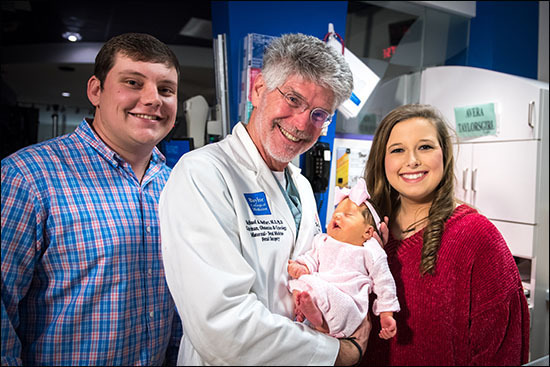 The experimental surgery Althea and Taylor underwent continues to be subject to rigorous oversight by the U.S. Food and Drug Administration, was developed by Texas Children’s Fetal Center in partnership with Texas Children’s division of neurosurgery. The teams practiced on a child’s kickball that replicated the mother’s uterus. Inside the kickball, a doll acted as the fetus. By hoisting the ball into the air hung by various levers and pulleys, the team simulated the movement in the womb and practiced closing the spinal cord. 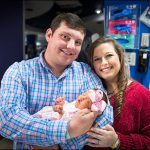 View photos of both Grayson and Parker Kate below. 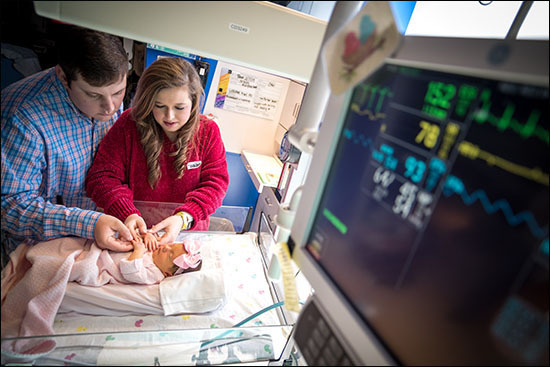 Texas Children’s Fetal Center is among the nation’s leaders in providing high-risk maternal care and the diagnosis and treatment of abnormalities in unborn and newborn infants. 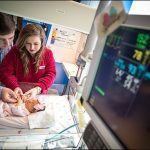 For more information, visit women.texaschildrens.org/fetal.